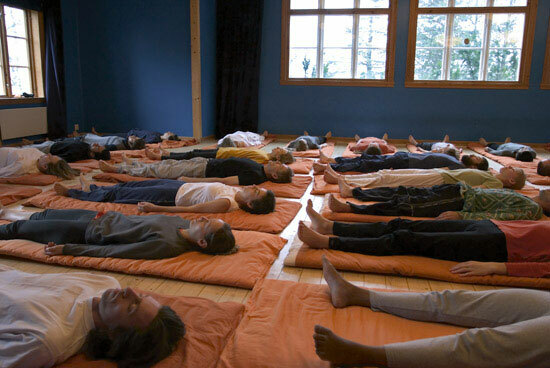 iRest Level II training is designed to provide you with a deeper understanding of the principles underlying the theory, practice and delivery of iRest Yoga Nidra so that you can hone your delivery of iRest to groups and individuals in public and professional settings. Describe yourself as having advanced training in iRest Yoga Nidra in advertising and promotional materials, and when delivering iRest in public and professional settings. Be listed on the IRI website as having completed Level II. Audit Level II trainings at reduced rates. Assist at Introductory and Level I and Level II trainings and retreats. New! Access the valuable “iRest Teacher’s Resource Webpage” to download iRest teaching materials and professionally designed promotional brochures, flyers, and more! New! Join the iRest “Teacher’s Community Network” (TCN) (additional fees apply). 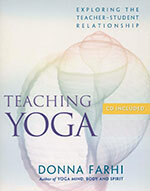 Drawing on decades of experience in training Yoga teacher, Donna Farhi offers the first book to set professional standards for yoga teachers. Teaching Yoga explores with depth and compassion a variety of topics both practical and philosophical, including how to create healthy boundaries; the student-teacher relationship (including whether a sexual relationship is acceptable); how to create physical and emotional safety for the student; what is a reasonable class size; how much a class should cost; and how to conduct the business of teaching while upholding the integrity of Yoga as a philosophy, a science, and an art. A bonus CD features the author speaking about yoga ethics at a 2002 conference.